To bring major improvement to our guests’ comfort, we will be re-sealing the Lazy River. 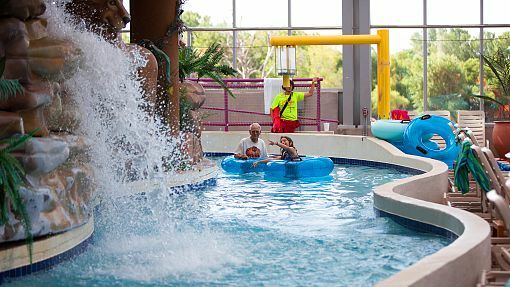 The Lazy River will be closed from 7 PM, Sunday, December 2 through Saturday, December 8 about noon. The job will actually be finished on Thursday, but as we re-fill the Lazy River, it takes about 36 hours to heat it up to 85°F. We hope you will love the new surface! Subscribe below and be notified of all our great deals and interesting events!